Posted October 17th, 2018 by Bhaishmi Anandathirthan . 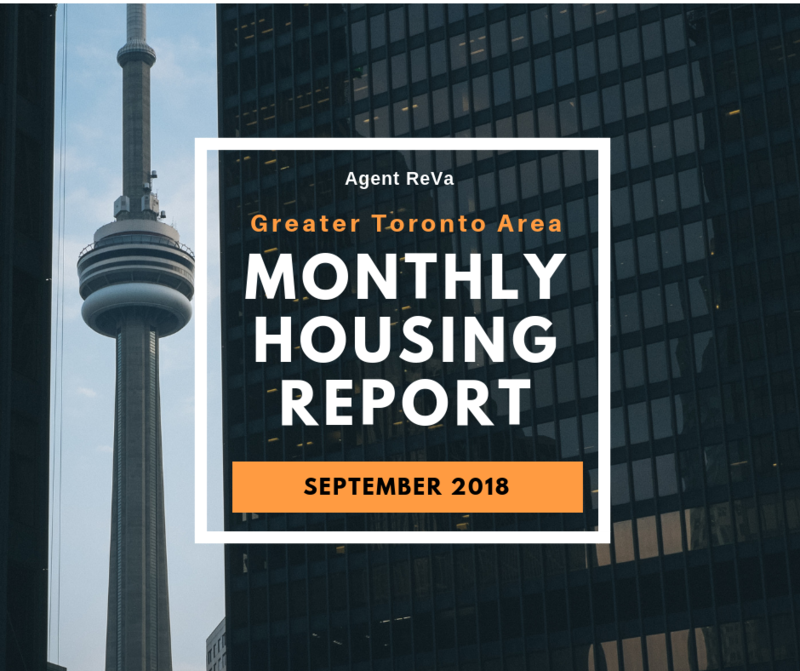 The month of September saw a slight increase in property prices varying across the Greater Toronto Area (GTA) and saw a rise in new listings on the market. There were 15,920 new listings, substantially up from August, yet amazingly down 3.1% compared to September 2017. Toronto’s September resale housing report from TREB shows home sales rose by a brisk 1.9% from September 2017 but only .2 % from last month. Also, The average selling price for September 2018 rose by 2.9% over August. In Toronto central where homes are most expensive, we saw an uncharacteristic drop. In the six cities, we observed, here is how they rank from the highest average property price to lowest in September 2018. The average property price in September was $523,375 – an increase of 2.19% or $11,250 to be exact. The highest price for a type of property was a 5 bedroom detached house, and the lowest was for a one bedroom condo. In September, the most popular type of property was a three bedroom detached and townhouse. While condos, in general, saw a very low sale rate. Brampton’s real estate market showed a drop in the average price last month, with the property average in September being $549,625. With a total of 536 total properties sold, the sales volume has slightly fallen too. The 4 bedroom detached houses and 3 bedroom townhouses seem to have been the buyers favourite in September. An average property price in September was observed at $556,450. The prices seem to be picking up compared to the numbers a few months ago but are still lesser than what it was a year ago. A considerable part of the sales were 3 bedroom detached houses and 3 bedroom townhouses. In September, an average property was selling for $640,625. The prices have held steady since the beginning of this year without any major downfalls or accelerations. 549 total properties were sold in September with the most popular being a 4 bedroom detached house and a 2 bedroom condo. September saw an average price of $760,437 for a property in the province’s capital last month. Toronto home prices have just about recovered from last year’s collapse. The prices of almost all properties are slowly on the rise again after a 6-month deceleration. With a whopping 2205 number of properties sold in September, the market shows no indication of a slump in sales which has been steadily rising. The most popular properties were 3 and 2 bedroom condos last month. The average property price was $795,125 and we observed an increase in property prices throughout the city. The total sales were 163 properties which are the 2nd lowest volume in the year. The 4 bedroom detached houses were the most popular last month followed by 2 bedroom condos. With new construction stopped, mortgage stress test, Ontario job losses, and Canadian economic uncertainty, demand for homes in the GTA should fall. However, in many parts of the city of Toronto, prices may not fall much. Given how strong demand in the GTA is, a Toronto housing crash is little outlandish. There’s a lot of talk about rent controls the Toronto rental market. But, With the economy improving, and a cessation of building in the GTA, rents will likely take a big jump by spring 2019. Despite various issues and the government’s attempt to throttle it, prices keep rising. The enormous unfulfilled demand for housing will ensure prices can’t drop. So, Is this the right time to buy a house in the GTA? The answer to that is, maybe yes! According to The Balance, Christmas is the best time to buy a house. So we say, start looking!